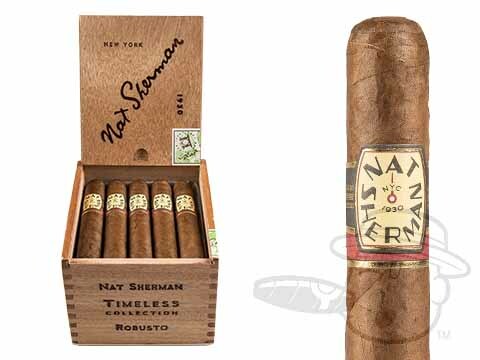 The Nat Sherman Timeless Nicaraguan is handmade at Plasencia Cigars, S.A. to deliver classic and bold Nicaraguan taste with Nat Sherman’s silky finesse. Medium in body, the Timeless Nicaraguan’s flavor profile is anything but basic, with tones of coffee, wood, cocoa, pepper, almond, and earth shining through before a sweet finish. 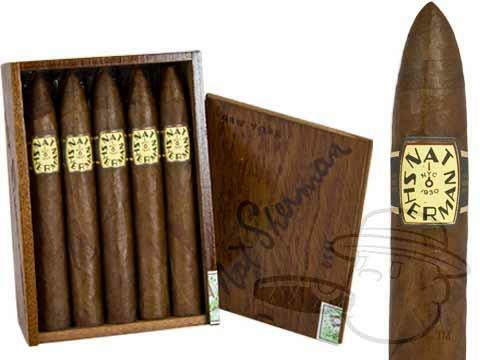 These expertly crafted premiums are a prime example of the decadence in taste and aroma that can be achieved when working with a blend of only the highest quality Nicaraguan tobaccos. You owe it to yourself to taste at least one of these opulent puros. Nat Sherman’s personal favorite cigar, the Host Selection is a mild, creamy, and sweet smoke that goes down smooth at any time of day. It’s no wonder ol’ Nat loved them so! 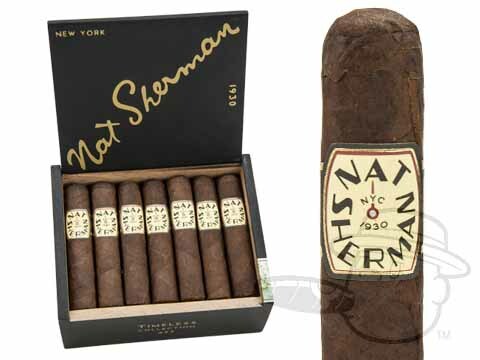 Nat Sherman Host Selection Maduro puts a darker spin on this Honduran-made favorite. As smooth as the original and loaded with soft flavors of cedar, sweetness, and creamy tobacco, the Host Selection Maduro is as tasty as it is well-balanced. 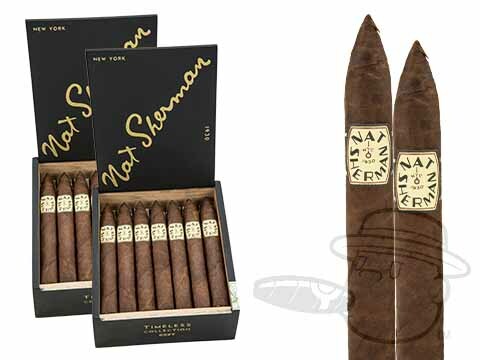 The Nat Sherman Metropolitan Selection features Dominican Piloto Cubano tobaccos wrapped in your choice of natural or maduro wrappers. Mellow and flavorful with an earthy edge, the straight-burning Metropolitan Selection is as elegant and refined as it gets. 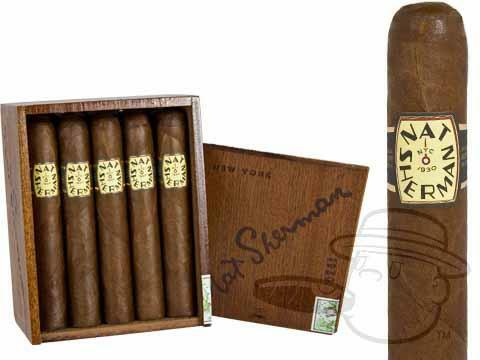 Nat Sherman Metropolitan Selection Habano cigars stray from the pack with a blend recipe of 100% Nicaraguan tobaccos nestled under a silky Habano leaf. These medium-full bodied puros are nutty and woody with an amazing aroma - an excellent smoke after a hearty meal. Nat Sherman’s Epoca was originally a clear Havana cigar (a cigar made with Cuban tobaccos in the United States) before the embargo took effect in 1962. In 2014, Nat Sherman resurrected the classic Epoca frontmark, this time as a blend of Cuban-seed Nicaraguan and Dominican tobaccos produced by Quesada Cigars in the Dominican Republic. Crafted to deliver a rich “throwback” cigar experience, the Epoca shines with classic character and notes of coffee, cedar, and mild spice. 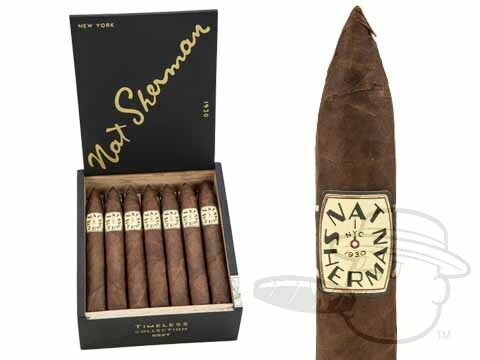 Nat Sherman 1930 cigars pay tribute to the legendary company’s founding year with a select blend of Nicaraguan and Dominican long-fillers under an oily Dominican wrapper leaf. 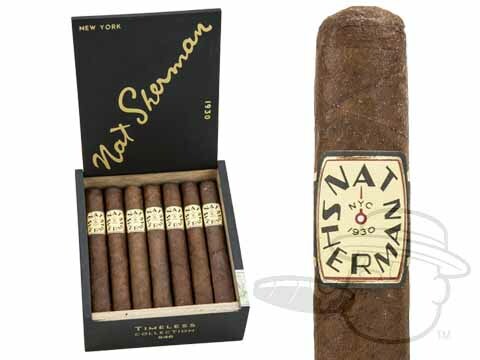 Full in body and classically rich with tones of cocoa, hints of vanilla bean, and nuances of sweet spice, the Nat Sherman 1930 is sure to satisfy. 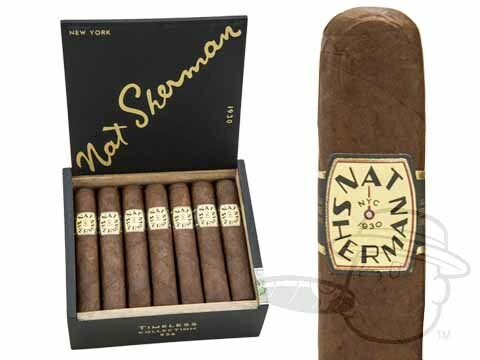 Nat Sherman Timeless Nicaraguan cigars are handmade at Plasencia Cigars, S.A. Using 100% Nicaraguan tobaccos to bring you a complex, medium-bodied smoke with an awesome flavor kick. Warm and welcoming tones of coffee, wood, cocoa, pepper, almond, and earth mix and mingle in the Timeless Nicaraguan’s unique bouquet of flavors before a long, sweet finish that will have you coming back for more. 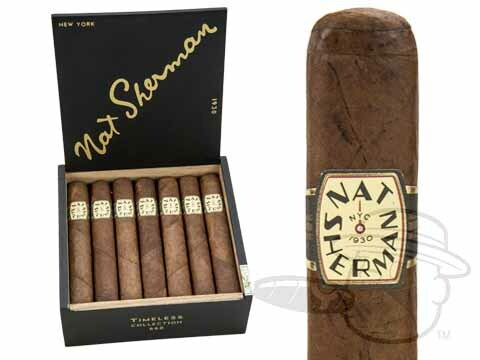 If you don’t see the Nat Sherman cigars that you’re looking for, please open a Live Chat at the top of the page and one of our service reps will be happy to help you.